Canada’s oil and gas industry is organized into different sectors based on the activities required to responsibly develop oil and gas resources. The upstream oil and gas industry in Canada includes over 1,000 exploration and production companies, from small “juniors” or “start-ups” focused on small areas or specific activities, to large multinationals with diverse operations. E&P companies search for oil and gas, acquire land and mineral rights, conduct public involvement programs and oversee operations on their leases. They do not drill or complete wells. Instead, they contract drilling and service companies to do the fieldwork required at and near the well site. Offshore and oil sands activities are also included in the E&P sector. Access to land, and the minerals beneath it, is required in order to drill a well. 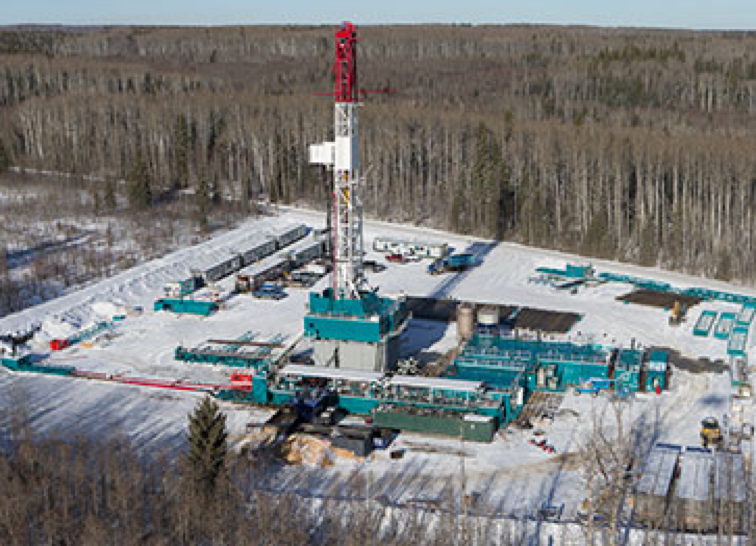 E&P company land departments negotiate access with owners and federal or provincial governments. Specialized staff, known as landmen (who may be male or female), are responsible for all these negotiations. No exploration or production activity can occur without the necessary permissions and public involvement programs. The Canadian Society for Unconventional Resources (CSUR) is a not-for-profit society that encourages the responsible development of our country’s unconventional hydrocarbon resources through the promotion of accurate scientific and technical information. The seismic sector conducts the seismic surveys and processes the seismic data that help identify locations of oil and gas resources. In a seismic survey, the geophysical contractor’s crew lays out a line (or several lines) of sensitive receivers, called geophones or “jugs,” on the ground. Then explosions or mechanical vibrations are created on the surface. The geophones record the energy that is reflected back as seismic waves from rock layers at various depths. Geophysicists use powerful computers to process the data from digitally recorded seismic surveys. Computer-assisted processing of the data creates a picture of the sedimentary structures below and ideally shows the location and extent of porous layers within these structures. The drilling sector drills and services oil and gas wells on contract to E&P companies. A drilling rig drills down into the ground to test the theory that an oil or gas deposit might exist in a specific location. Drilling rigs use very technical equipment, both computerized and mechanical, and are worth millions of dollars. After a drilling rig drills the initial hole for a well, a service rig is brought on site to prepare the well for production or to perform maintenance or modifications as needed. Rigs operate around the clock, seven days a week, and the crews typically work 12-hour shifts for two weeks and then have a week off. The workers sometimes live in a temporary camp on site. The service, supply and manufacturing sector provides the specialized services and equipment needed for preparing, completing, testing, maintaining and reclaiming crude oil and natural gas wells. This sector develops and uses highly advanced technology to make its services safer and more efficient. Canada is a huge country, but most Canadians live near the southern border, where it’s warmer. However, our oil and gas resources are often concentrated in areas far away from population centres. That’s where pipelines come in. Pipelines are a critical part of Canada’s oil and natural gas delivery network. Pipelines transport crude oil and raw natural gas from Canada’s producing regions to refineries and processing plants, where these energy sources are converted into useful fuels, such as gasoline, diesel and commercial-grade natural gas. Pipelines are also used to transport consumer-ready fuels to large terminals on the edge of towns and cities, where the fuels are distributed to homes and businesses. 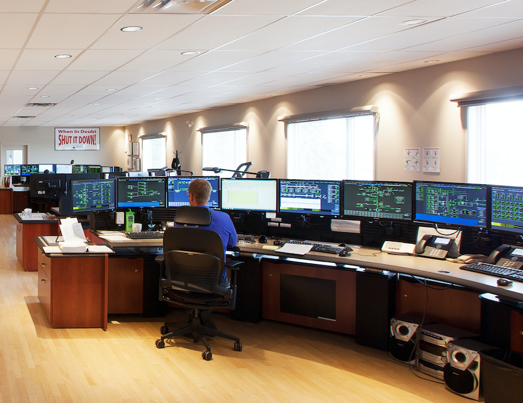 Pipelines are monitored 24/7 by well-trained operators in control rooms equipped with Supervisory Control and Data Acquisition (SCADA) systems. SCADA collect information such as temperature, flow rate and pressure from sensors along the pipeline route to ensure safe transportation of oil and gas. Automatic leak detection alarms are triggered if a problem is detected. Canada’s pipelines are like a network of energy highways, but you don’t see them because they are tucked safely underground. Today there are an estimated 825,000 km of pipelines criss-crossing Canada. If you laid them end-to-end, that would be enough pipe to circle the earth two and a half times! Compressors or pumps keep the resources flowing through the pipelines. With that help, natural gas flows through pipelines at up to 40 km per hour, somewhere between a cantor and full-out gallop of an average horse. Oil is slower; it takes from 30 to 35 days to travel through pipelines from Alberta to Ontario. The safety of workers and the public is paramount to the oil and gas industry. Machinery can be replaced – people cannot. The oil and gas industry follows strict occupational health and safety (OH&S) regulations to protect public and worker safety. Depending on their role, workers must be trained and competent in key safety areas such as working with sour gas, first aid, confined spaces, fall protection, fatigue management and safe driving.